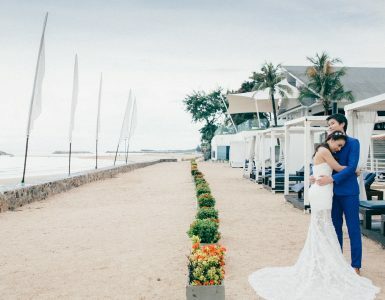 Hua Hin Resort, located next to the sea, comes with meeting facilities and beautiful meeting venues to satisfy the needs of business travelers. Combine your conferences and work functions with excellent resort activities and take advantage of our facilities, such as swimming pool, tropical gardens, grand ballroom and beautiful beach. Novotel Hua Hin provides Hua Hin Meeting packages including special prices on room rental, discounts on meeting rooms, staff activities or “team building” as complimentary benefits. Novotel Hua is not only perfect for leisure, but is also suitable for conference or company parties. Our total meeting space capacity is 955 sq.m (or 10,290 sq.ft.) with meeting equipment and entertainment available at your convenience. The team building is highly recommended during your conference with many different games provided to help you team get along. 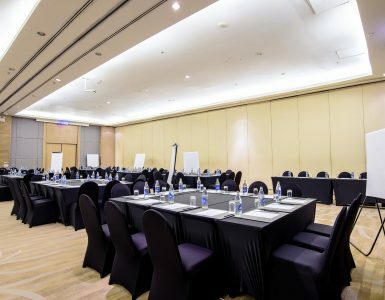 Novotel Hua Hin is the best meeting resort in Hua Hin and offers great deal for Hua Hin Meeting packages, not only providing meeting rooms, but also various resort activities and facilities for meeting attendees. 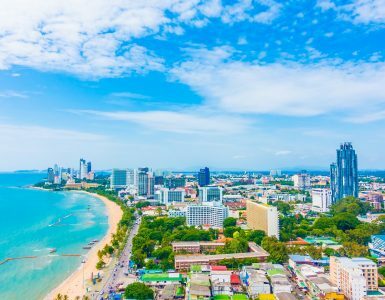 From a beautiful view of the Gulf of Thailand, tropical gardens, restaurants and bars to the meeting spaces and facilities, everything is made to inspire you. Novotel Hua Hin has been certified complying Thailand MICE Venue standard by Thailand Convention and Exhibition Bureau (also known as TCEB) located only 15 minutes from Hua Hin city or Only 2 hours from Bangkok’s central business district by car. Hua Hin meeting venues have easy access to famous Hua Hin interesting places. The hotel provides a shuttle service to Hua Hin city for guests wishing to go there, or they can enjoy the beautiful beach next to the hotel. Novotel Hua Hin is committed to ensure your meeting will go smoothly and be a wonderful experience. Please feel free to contact us for more information by calling 032-708-300 or fill the contact form and our meeting specialist will contact you shortly.